Coconut Grove, renowned for its beautiful homes and waterfront views, has been gifted with a new and modern complex: Grove at Grand Bay. Although the project is not yet under construction, the designs are fantastic. Designed by the Bjarke Ingels Group (BIG), crowned 2011 Innovators of the Year by The Wall Street Journal, the two buildings will stand beautifully on South Bayshore Drive, providing breathtaking views of the bay’s sparkling blue waters from the modern comfort of your home, whether it be on the 12 foot deep terraces or from the inside, through 12 foot high floor-to-ceiling windows. It’s landscaping will then be done by none other than the famous Raymond Jungles, wishing to seamlessly fuse the gardens and architecture at the Grove at Grand Bay. 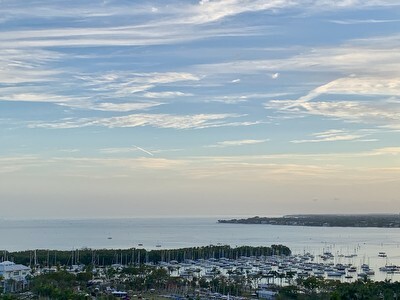 Apart from its fantastic architecture and wonderful views of the city, Grove at Grand Bay will also include some unique features that will not be found anywhere else in Coconut Grove, such as the summer kitchens located on the terraces of some complexes (This is, of course, in addition to the indoor kitchen). The prices will range from $890k and over. An international approach to a very local market: Coconut Grove. Alfred Browning Parker (1916-2011), a renowned and revolutionary architect of the 20th century, filled the world with his architecture, creating almost 6,400 projects in total for the all to witness. 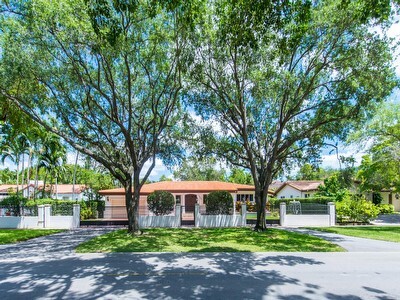 Having lived much of his life here in Coconut Grove, Miami is particularly plentiful with his projects, both residential and commercial, and although many of them have been demolished, his legacy still stands. It is likely that you have even witnessed some of these buildings for yourself, such as the Hope Lutheran Church on Red Road; however, his most famous projects are actually his own residences here in the Grove. Of the ten homes he designed, built, and owned in the Grove, four of them were recognized as The National House of the Year by House Beautiful magazine. Now you have the opportunity to own, and live in, one of Parker’s beautifully designed homes. 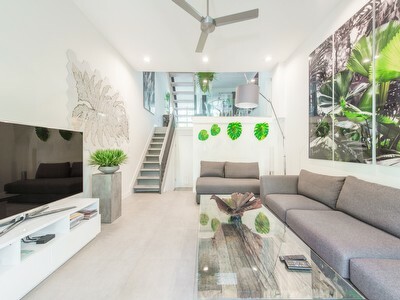 Located on 4141 Bonita Avenue, this gem is surrounded by a tropical paradise, which complements its modern organic design. Contactenos para una visita privada. Contattateci per una visita privata. Contactez-nous pour une visite privée.